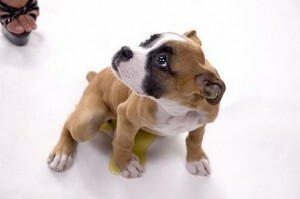 Whether you have a young puppy who is still learning how to hold his bladder or an older dog who cannot hold it, pet urine on your carpet is going to be difficult to remove. Urine has uric acid crystals that stick to the carpet fibers and stubbornly hold in place. The stains can be hard to find after they are first cleaned, but they tend to reappear after a few days. The good news is that professional cleaners can permanently remove the stain for you. Your pet urinates on one area of the carpet, but the urine spreads as it moves into the lower layers of the carpet and padding. When it reaches the lowest sections, it can spread to a massive area. If you are only cleaning the area that appears wet on the surface, then you are missing most of the urine. The smell remains, and your pets will be inclined to return to that spot and mark it again. Professionals understand this phenomenon, and they will clean the entire area to ensure that the urine is removed. Most residential machines are poorly equipped to remove large areas of moisture. They can get the moisture from the top of the carpet, but they just don’t have the suction power necessary to clean it out of the lowest levels. Professionals have the powerful equipment that’s needed to remove as much liquid as possible, and that helps ensure that your carpet is truly clean. Urine contains these crystals, and regular cleaners do not break down the acid. This makes it nearly impossible to break them free from the carpet fibers, so the stain and odor will linger. Professionals have access to powerful cleaning solutions that break down the acid, lift it from the fibers and leave the carpet truly clean. Old pet stains have a habit of disappearing and reappearing. As the carpet dries from the top down, the urine that is waiting in the lower levels will wick up to the surface. It may be that you can only see the stain in certain lighting. Professionals have black lights that allow them to look over the carpet and search for stains. It’s the best way to find even old stains and ensure that they are completely eliminated. Whether your young puppy is still going through housebreaking or your aging cat just cannot hold his bladder anymore, there is still hope for the carpets in your home. Professionals have special cleansers and powerful equipment that can remove the stains and ensure that they don’t return. Here at High Quality Carpet, we can treat even old stains to help your carpet look like new and smell fresh again. We offer convenient appointments, and we have the most reasonable prices in the New Jersey area. Call our team today to get professional pet urine removal in Bridgewater NJ and beyond.